Confession: I could not cook a meatball for the first 6 years of my marriage. My mom handed down to me a meatball recipe that went with her meatball stroganoff, a favorite comfort food of mine. The meatballs were easy to make, but they required pan-frying and I either always over-cooked them, or more often than not undercooked them by burning the outside and having pink in the middle. Thanks to Pinterest last year I discovered that you can BAKE meatballs and it has changed my life and definitely how often we have meatballs for supper! Another big thing that deterred me from meatball making was sticking my hands in raw meat…especially if it was too cold! 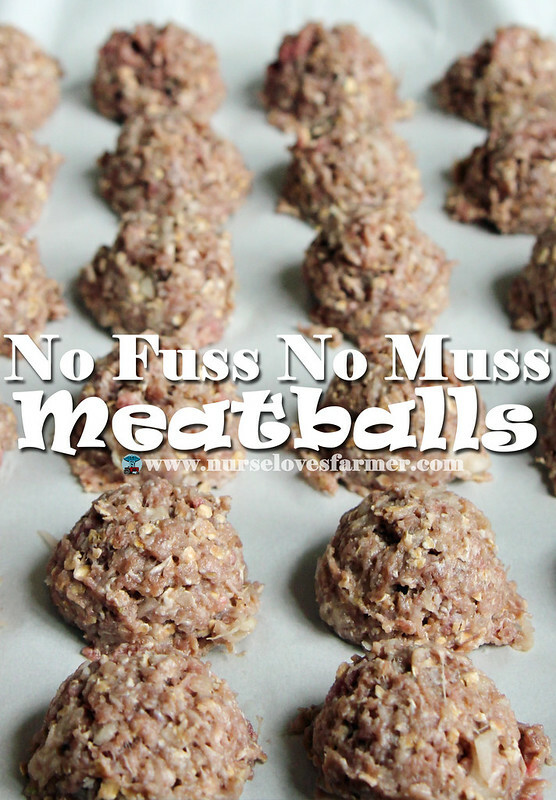 What I am about to share with you on how to make no fuss no muss meatballs, will blow your mind! There is a printable recipe below. First preheat your oven to 400ºF. 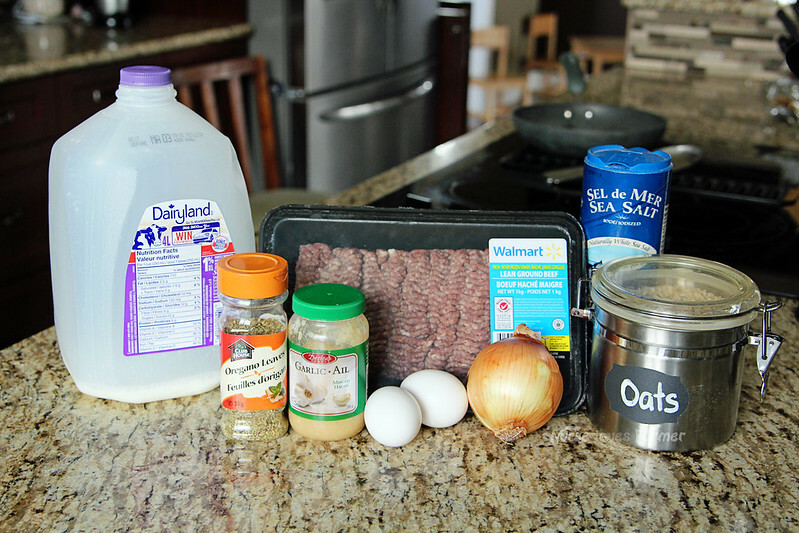 Here is the first part of the “hands off the raw meat” tricks: empty all ingredients (recipe card below) into a stand-mixer and mix with the paddle attachment. BRILLIANT!!! I learned this trick from and I honestly never would have though of it. Of course, if you don’t have one…you gotta get your hands dirty for this part, sorry! Once they are all mixed, line your baking sheets with parchment paper, tin foil, or silicone baking mats and use a large cookie scoop to spoon your meatballs onto the trays. That is the second “hands off the raw meat” trick! 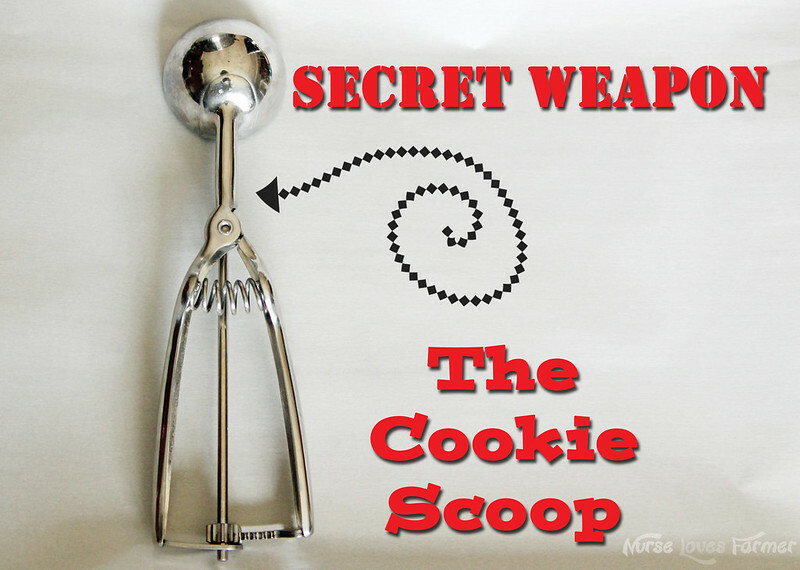 Using a cookie scoop gives you uniform meatballs and if you want to clean them up a bit or still roll them with your hands, have at it. I’ve never had these meatballs fall apart, using the scoop works great! Not much of a mess at all with these amazing meatballs, you won't even get your hands dirty, I promise! Mix all ingredients together in stand-mixer with paddle attachment. Use large cookie scoop to spoon out meatballs onto tray. Bake for 30-35 minutes, or until no longer pink in the middle. !Use any spices you prefer: substitute basil for oregano, add Italian spices, more or less garlic---meatballs are so versatile! Use any spices you prefer: substitute basil for oregano, add Italian spices, more or less garlic—meatballs are so versatile! Hi, making these tonight but just wondering where you got your scoop? I haven’t found a quality scoop. Would love one for meatballs, cookie dough and muffins. Thanks! This is my second time making these, with the honey garlic sauce to go with them. Everyone loves them. Used the sauce to bake chicken breasts too. Thank you. I bake my meatballs, too! But, I mix them, press them into a bar pan, take a butcher knife and cut them into 1 inch cubes. 1/2 way through baking I run the knife through the cut edges. So we have 'meat cubes'! This is exactly how I make meatballs (dairy free though, of course) in huge batches and then I IQF them and put them in gallon sized ziplocks in the freezer, it is a life saveer to have frozen meatballs on hand for quick sandwiches or spaghetti night. Great tips! Sounds so simple! These look delicious! I bake my meatballs too and love stuffing the middle of mine with some shredded mozzarella cheese. Mmm! I should make meat balls this week! Thanks, Val! I had never thought to bake them. I also use my mixer for my meatloaf too!